An HR manual is a must have in every office out there. Such manuals indicate the codes, protocols, and clauses to be followed by the employees and the treatment and compensation the staff can expect as part of the office. These manuals cover several topics like recruitment, employee benefits, employee termination, etc. If you need some inspiration to design an HR Policy Templates, there are pre-structured HR templates, especially created to help in framing the HR policies. 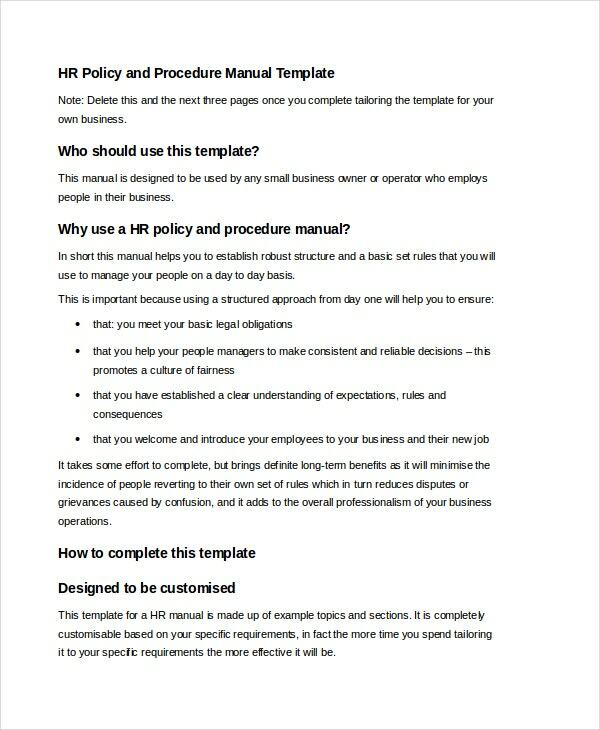 This HR policy manual template would be of great use to anybody who wants to know about HR manual and what to mention in the HR policies. It starts by defining who would use the HR manual and the main reasons to use it. Then, it offers a sample of a standard HR manual template along with tips on how to use it. You may also see Instruction Manual Templates. You are getting a comprehensive HR policy template here for a university which would be of great help when you are looking forward to ideas on structuring such a manual for your university. The elaborate document here comes up with chapters on every important aspect of Human Resource, covering versatile topics like employment in the university, employee responsibilities as well as compensation & benefits. Every employer calls for 100% cooperation from the employees when it comes to official tasks but if he applies force to compel that cooperation, it’s nothing but exploitation. 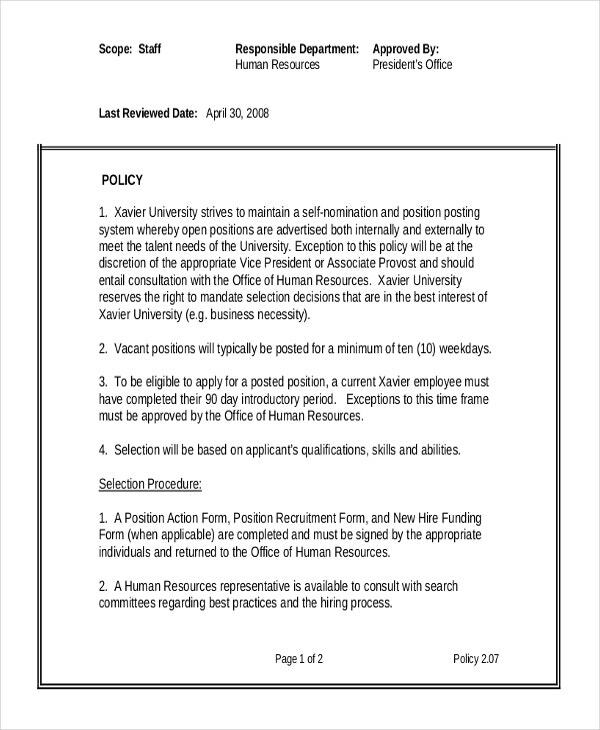 This HR exploitation training manual template here offers an elaborate document on the use of force and coercion techniques to demand commitment from employees. If you are in need of HR operations manual for teachers in your school, then this HR operational manual template would be of great help for you. It covers all the important points that your teachers have to abide by, such as- teachers’ obligations, student management, professional responsibilities, etc. 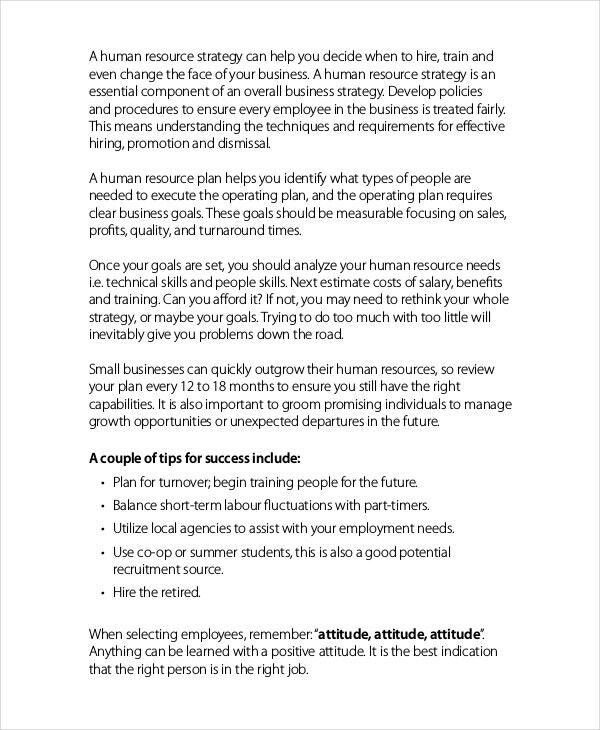 This Hr Managing Manual Templte would be of handy help especially for small business owners as it offers them an extensive document on how to manage the human resources effectively. The template has covered guidelines on very relevant topic such as recruitment, how to enhance employee satisfaction, parting with the employees, health & safety in the workplace, etc. This HR employee acknowledgment manual template is to be handed over by the employer to a newly recruited employee -as the document states clearly that the employee is acknowledging the duties, responsibilities and commitment legally expected from him as part of that organization. The template also includes space for the employee to enter his name and signature. 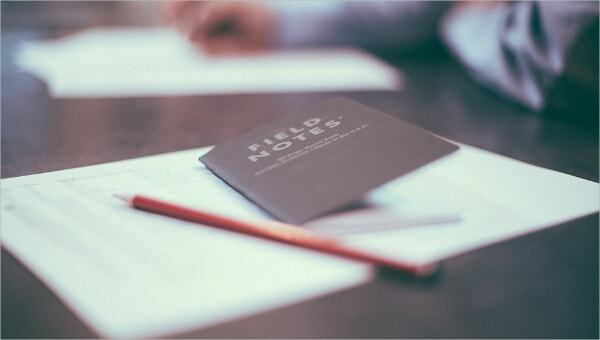 The manual must be drafted and finalized in thorough discussion with the legal advisors of your company, Board of directors and your stakeholders. The manual must proceed with an introduction discussing your company’s specific approach to HR management. > What is the Purpose of Writing an HR Manual? There are various purposes of writing an HR manual. First of all, the manual makes it sure that your company policies regarding the employees are perfectly in compliance with the set legal standards of your industry, state and country. This is why the HR manuals are usually made in discussion with lawyers. Then, the HR manual is aimed to notify both the employer and employees, including senior and junior staff, about the needed performance, attitude and behavior to be maintained and expected from one another. Besides, another purpose of the HR manual template is to state the punishments to be sentenced on violation of the policy clauses. 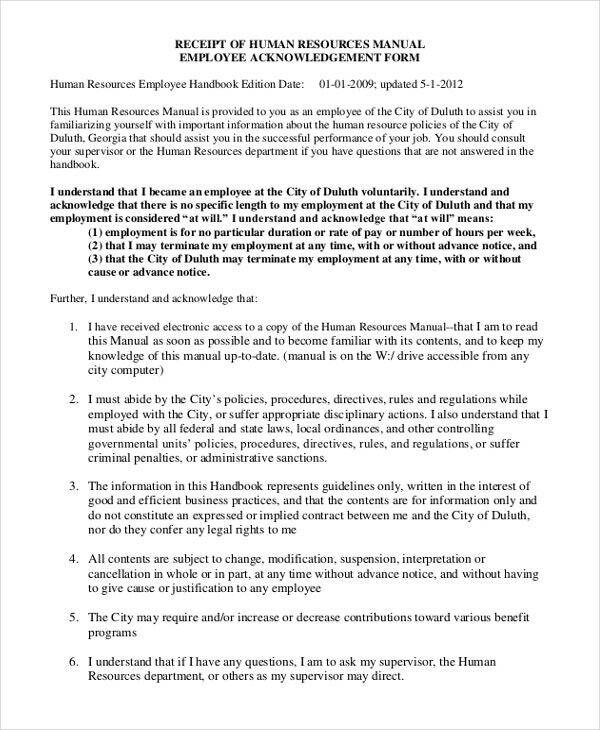 > What are the Benefits of the HR manual? One of the prime benefits of the HR manual template is that it ensures that both the employer and employees have a proper understanding of the expectations, roles and consequences on violating any clause- as part of the organization. When you have set rules on a certain kind of attitude or behavior to be maintained in office, you get a step closer to assuring complete fairness with your employees. No office is complete without an HR manual. Such a manual helps in the convenient management of the staff by setting the set codes and protocols to be followed by both the employee and the employer. There are HR policy templates today to help you with a readymade structure of a standard HR policy, and such a policy template can be easily modified with your specific inputs.